Originally from Los Angeles, Nathan relocated to Nashville when he was 11 years old and endured a major culture shock. Although his uprooting was abrupt, he embraced the transition between cities through skateboarding. Exploring new territories through traveling for skating, also motivated Nathan artistically and by age 15, was actively painting graffiti on trains and in the streets. 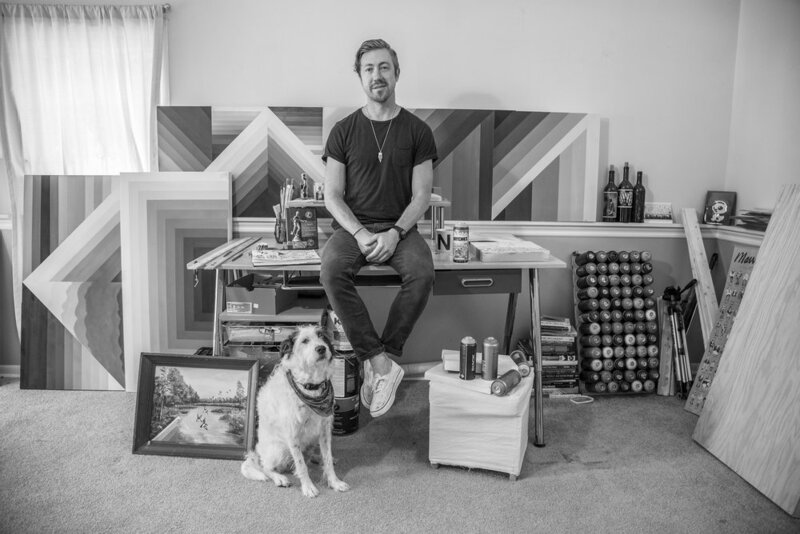 Nathan drew inspiration from skateboarding travels, gradient color palettes in nature, city life and structural lines in architecture, eventually transitioning into the studio and on buildings across the U.S.
Nathan continues to paint large scale public art on the the streets, as well as indoor private commissions and is currently based in Budapest, Hungary. Nathan is known for his geometric gradients, word collages and plantlike organic line work.